If you are looking for a combination of activities, then this Karting and High Ropes Course package will be perfect for you! 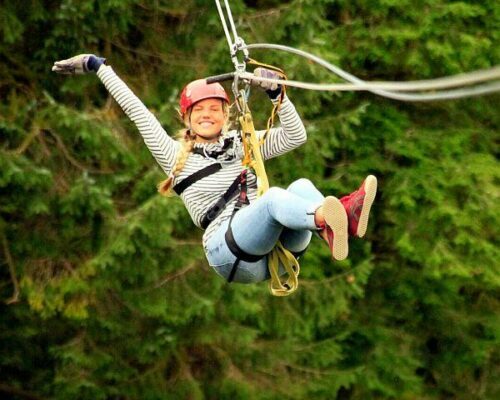 This is the activity to choose for a great family day out for everyone, or for the ideal birthday celebration! Start your day with the Fast and Furious! You will have the opportunity to step into the shoes of a Formula One driver! 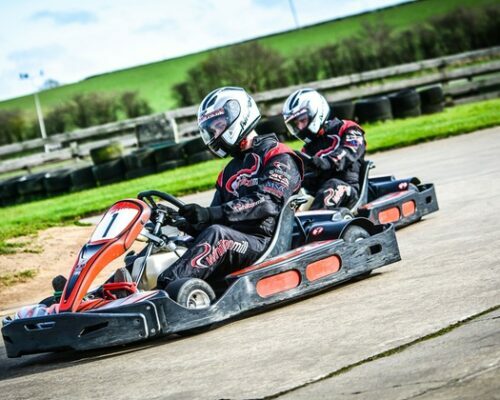 Enjoy a face-paced Karting session on one of Ireland’s longest, specially designed circuits! At almost 1 kilometre long, you will have plenty of time to overtake your opponents before completing each lap! This unique racetrack is both indoor and outdoor, so you will be challenged with all types of track conditions, as you race against the clock! 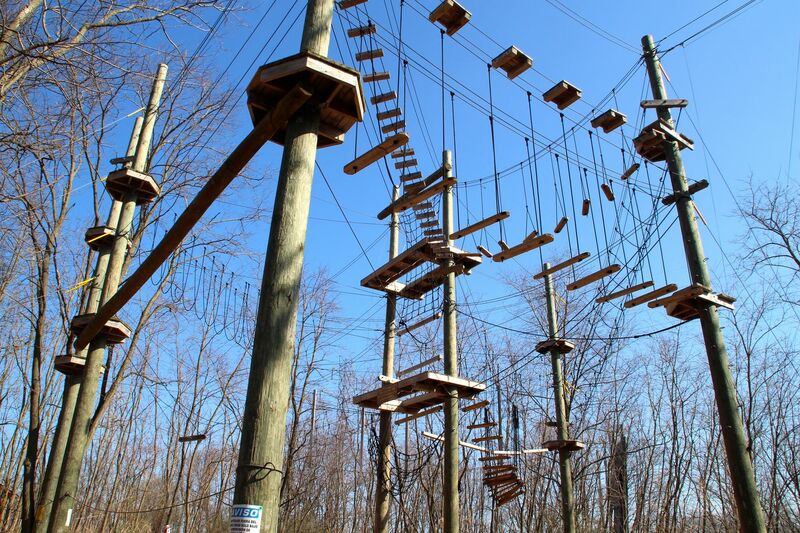 Test your navigation and climbing skills as you prepare to take on the High Ropes Challenge! 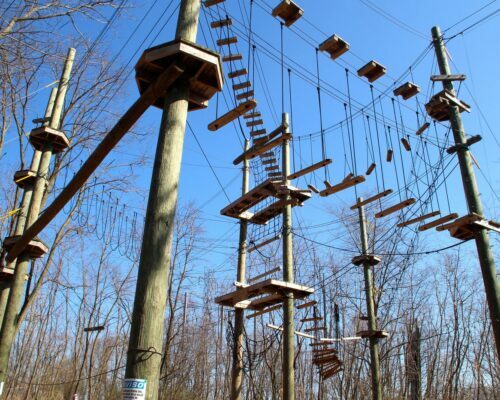 With help from your team, you will swing and jump your way across a testing High Ropes course! There are multiple levels, so this is a fantastic activity which is suitable for kids and adults alike! Along this challenging course, you will come up against mid-air jumps, climbing obstacles and even a challenging Zip Line! There are Pacer Karts available for children of age 3 to 7, so family groups are welcome. All safety gear, helmets and overalls are provided for your Karting activity. Equipment is in line with strict Regulation and Safety Standards. You are welcome to bring your own gear if you wish, however this must meet these safety requirements. Helmets must provide full -face cover and have clear visors. 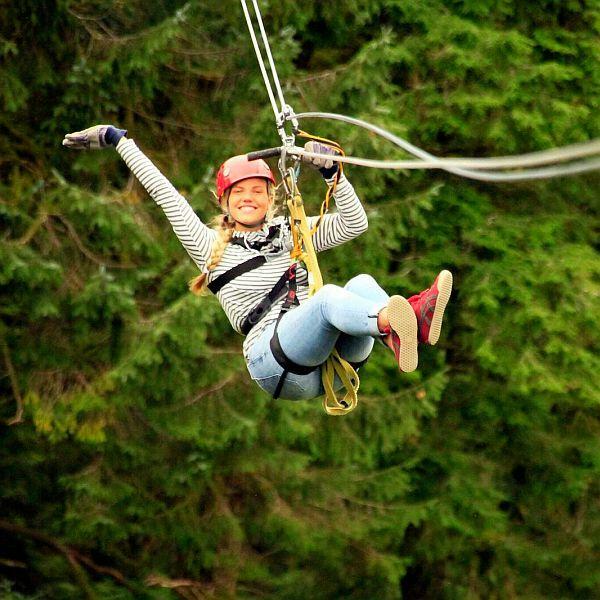 The high Ropes Challenge is suitable for children and adults, as there are multiple levels to cater for all abilities. Safety gear is provided and instructors will be on hand at all times during this activity. Please wear comfortable, non-restrictive clothing for this activity package. Light layers are ideal as you may get warm during the course of your activities. High Heels, Sandals, and Open-toe footwear is not permitted for safety reasons. Please wear flat, fitted shoes such as trainers. 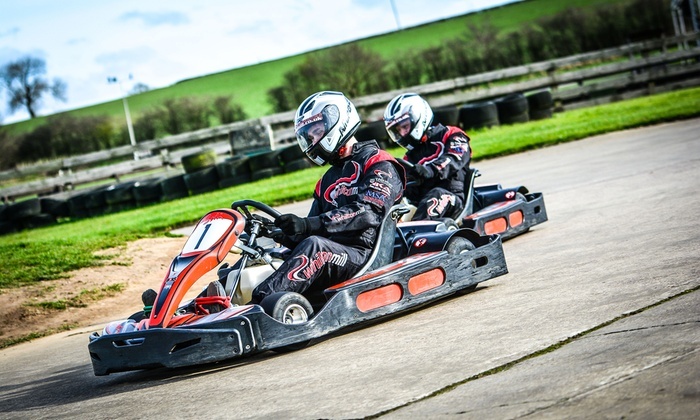 If you want to try something similar, why not check out our Grand Prix Karting activity. Or have a look at our other Land Activities for package ideas!